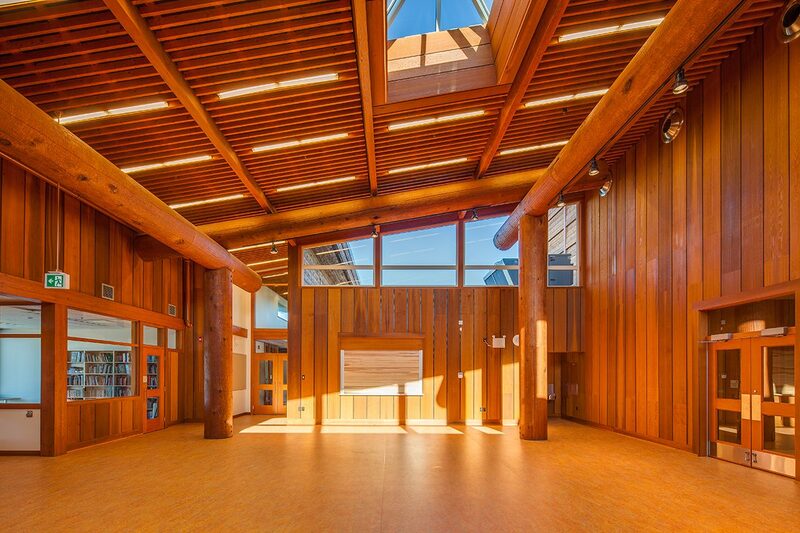 Kwakiutl Wagalus School was designed by Lubor Trubka Associates Architects for the Kwakiutl First Nation – a rural community located in Port Hardy on the northern tip of Vancouver Island. 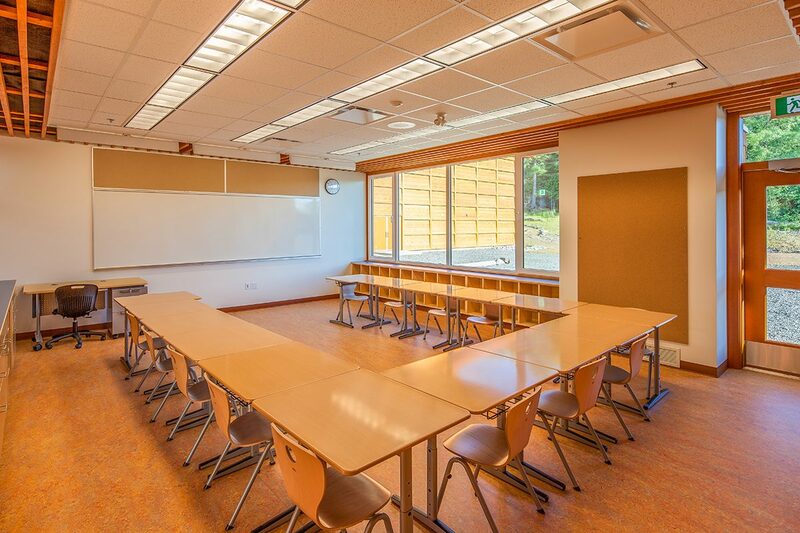 The new school accommodates up to 86 students from Kindergarten to Grade 7 and features four classrooms, gymnasium/auditorium, and space for a preschool. 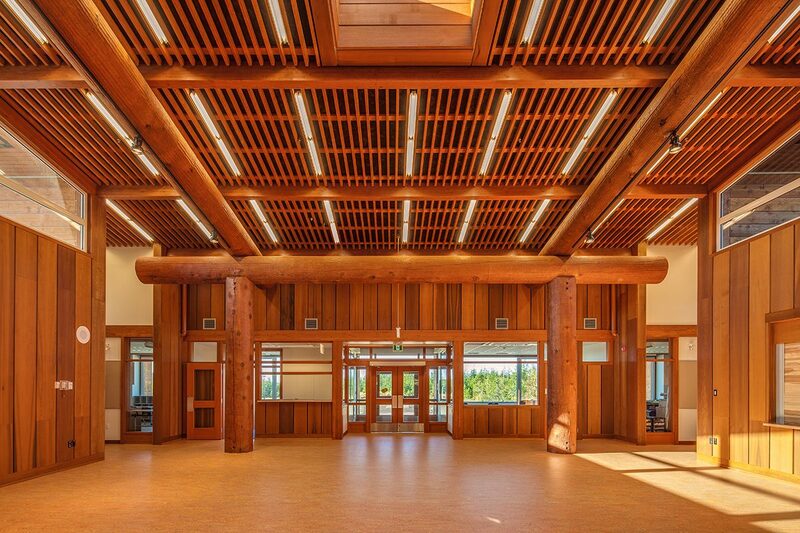 The heart of the school, the multi-purpose room, represents a modern interpretation of Kwakiutl’s traditional Big House. 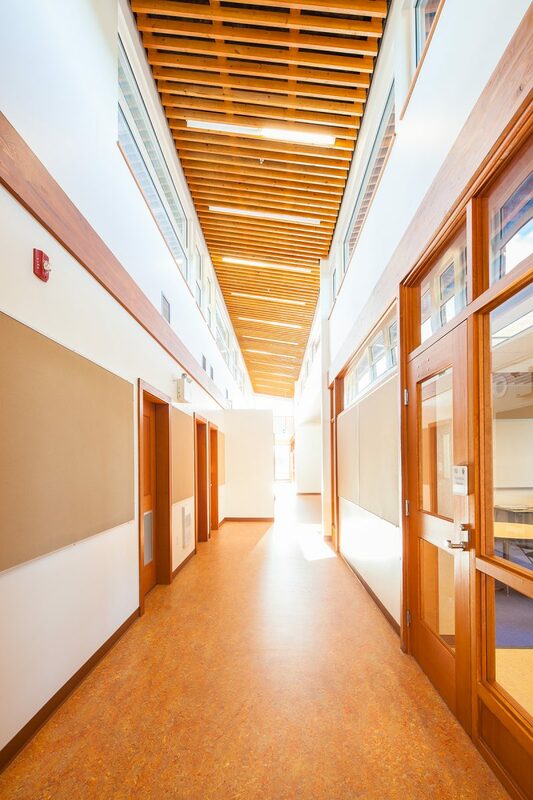 Wood construction is highlighted throughout this impressive facility. 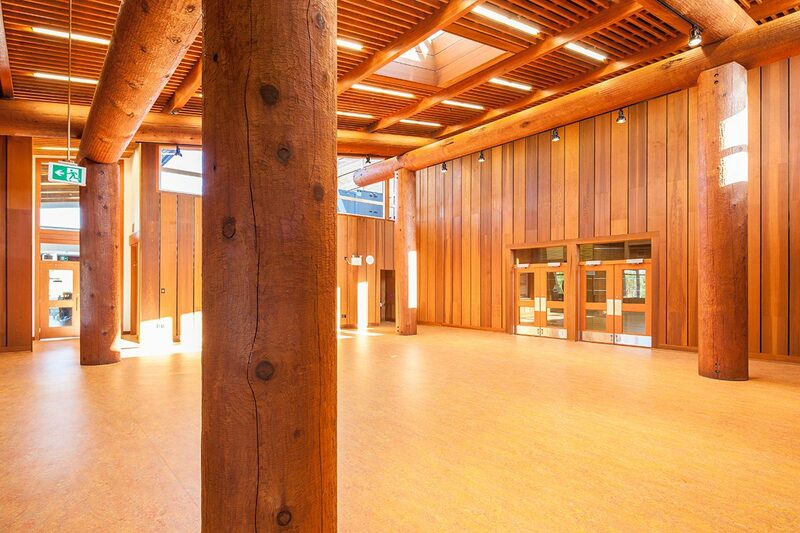 Large, round timbers are featured in the entrance foyer and prefabricated, over-height wall panels with stained wood were used for the gym’s interior and exterior walls. 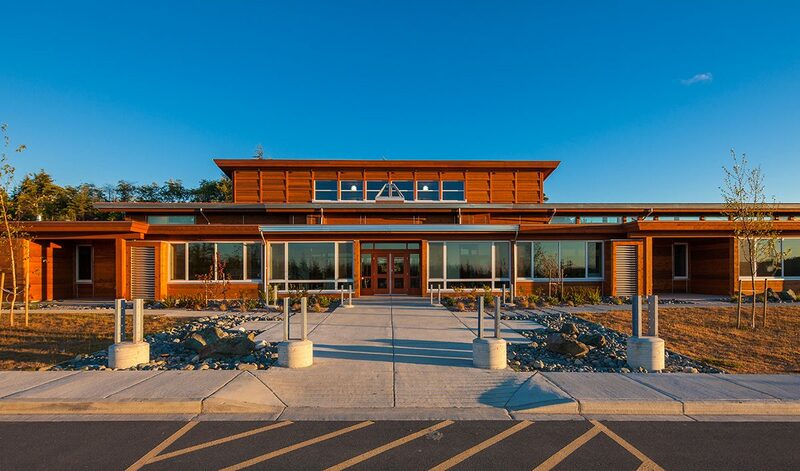 Additional design features include visually-striking glulam roof trusses and the extensive use of locally-sourced wood products. 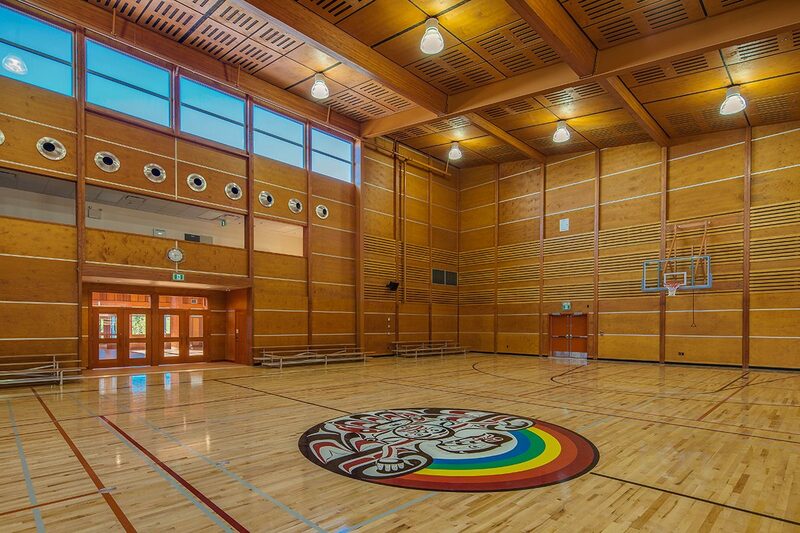 To simplify the construction of the large gymnasium, and save money, it was designed as an all wood, prefabricated system that was manufactured off site, complete with exterior finishes. 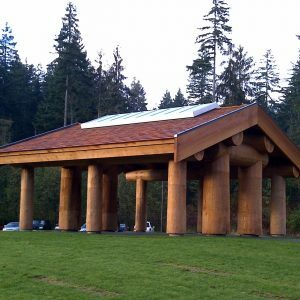 Once on site, it was erected by a small crew. 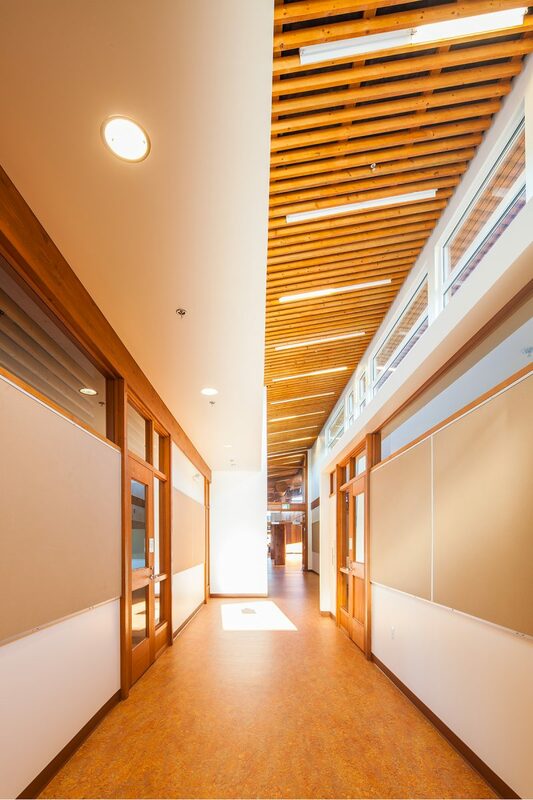 Remote location, project size and the importance placed on quality craftsmanship and attention to detail were import factors to the successful completion of this project. 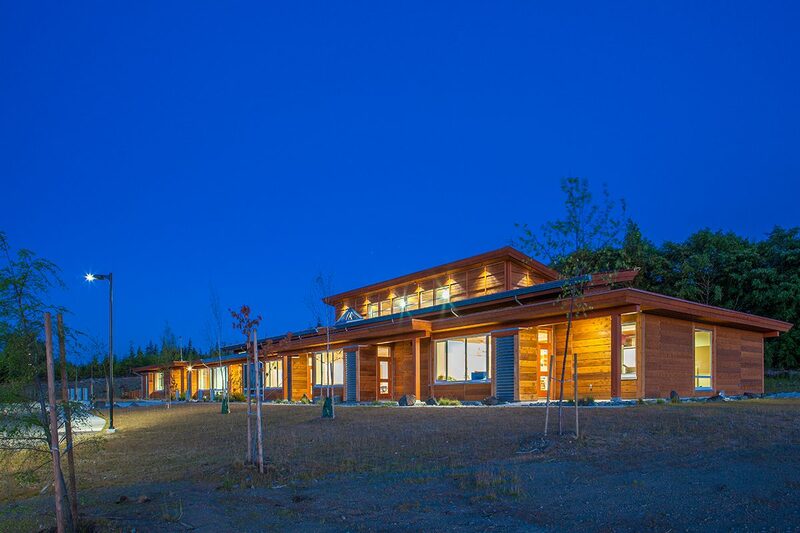 It takes many hands to complete a project of this magnitude. 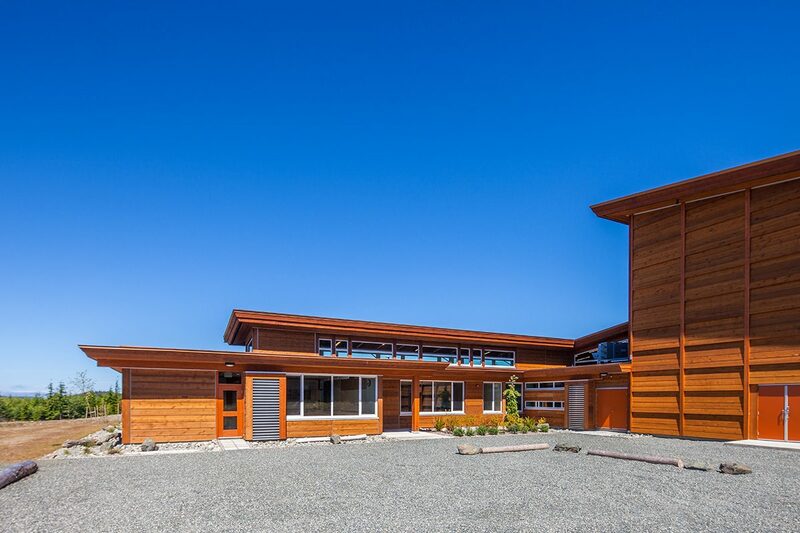 Wagalus School provides a solid foundation in Kwakiutl traditions, values, and language – inspiring resourceful and confident students. 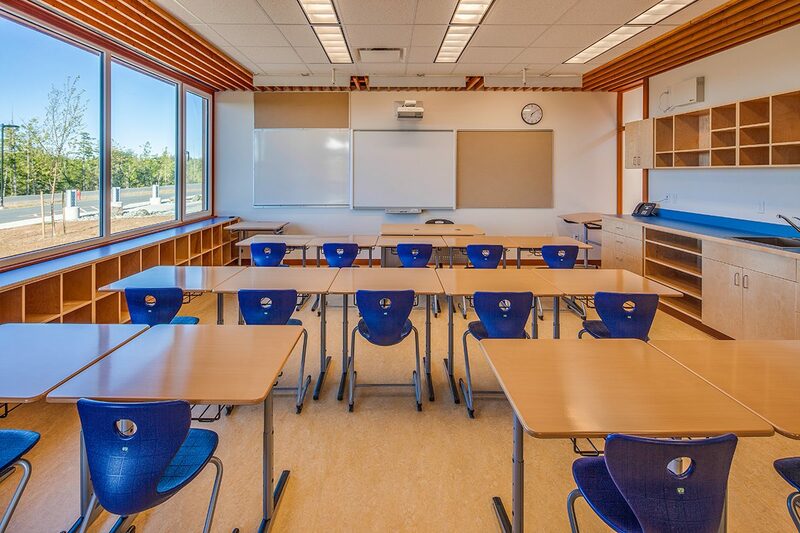 As we settle into another year of learning, our children will fill our beautiful new school with laughter, joy and hope for a bright future. 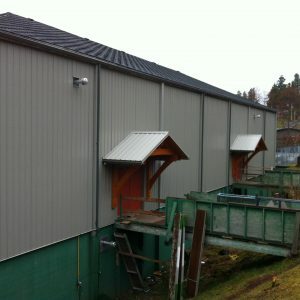 Gilakasla. 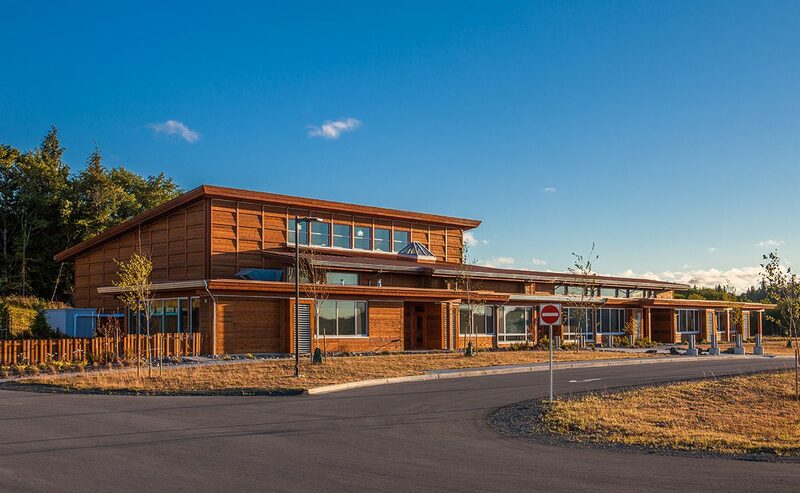 Honour First Nations Communities A truly collaborative project that celebrates local tradition, materials, and talent.